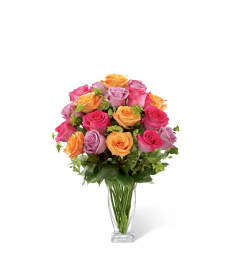 Rose Bouquet by FTD® is a delightful way to show how much she means to you! As assortment of roses in an array of stunning hues, including pink, fuchsia, lavender and pale yellow are brought together to form an exquisite flower bouquet. 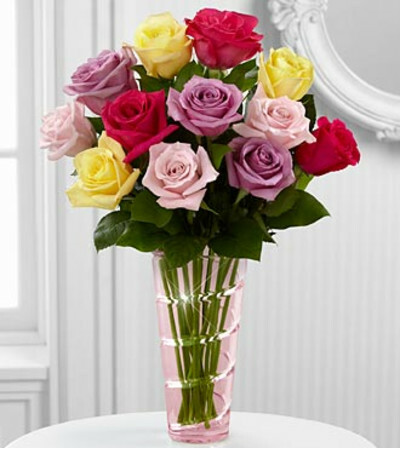 Arriving arranged in a designer pink glass vase, this flower arrangement creates an expression of your love and appreciation. GOOD bouquet includes 12 stems. 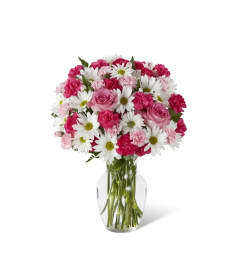 Approximately 18"H x 13"W. Deluxe bouquet includes 18 stems. Premium 24 stems.